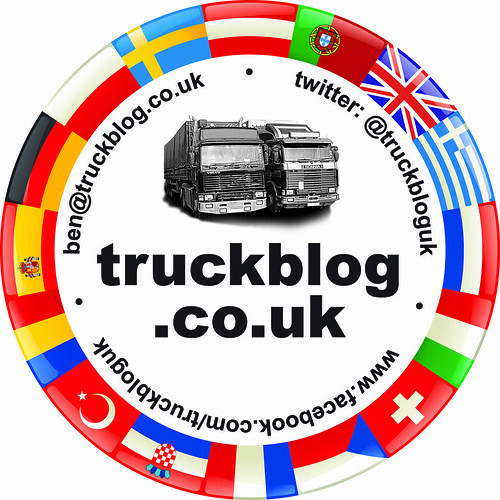 If you would like one of these stickers, please email me on; ben@truckblog.co.uk and title your email with “Sticker”. Please give me your name and postal address. In return I will post your sticker off to you via 1st Class mail. I will be dealing with all orders at the weekends. The price of the sticker includes postage and packing. Payment can ONLY be made securely by PayPal – My PayPal Name is; ben@truckblog.co.uk – Use your name plus “Sticker” as the reference please. If you are some where else in the world, then please still email me and I will work out the postage. If you would like one of these Polo Shirts, please email me on; ben@truckblog.co.uk and title your email with “Polo Shirt”. Please give me your name and postal address. To start with it may take a little while for me to order your shirt as I have to order in batches but I will be keeping a small stock, but I will keep you posted. The price of the polo shirt includes postage and packing. Payment can ONLY be made securely by PayPal – My PayPal Name is; ben@truckblog.co.uk – Use your name plus “Polo Shirt” as the reference please. If you are “Rest of The World”, then please still email me and I will work out the postage.